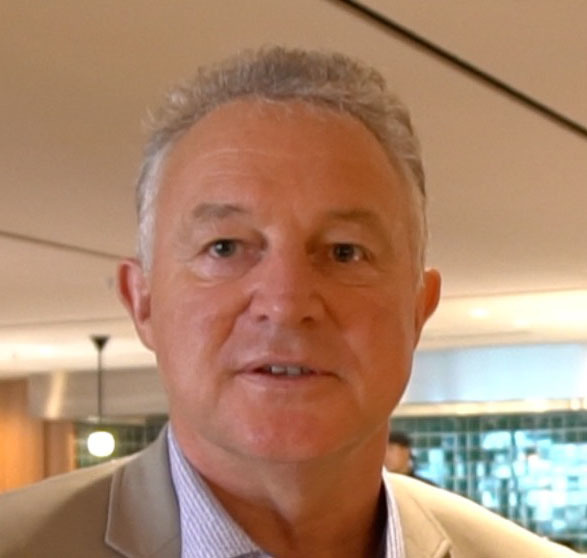 Air New Zealand chief executive Christopher Luxon says he is not interested in the top job at Fonterra and remains ''very committed'' to the airline. There has been persistent speculation on whether he would shift to Fonterra following the resignation of Theo Spierings. His background in the fast-moving consumer goods sector for Unilever in North America and the commercial success of Air New Zealand under his tenure were seen as strong points in his favour to succeed Spierings. Fonterra is also a bigger business than Air New Zealand. However, he told Air New Zealand staff in a newsletter this week he isn't interested. ''Over recent months many of you have asked me, as I have moved around the business or at various town hall meetings, whether I will be leaving Air New Zealand to go to Fonterra,'' he said. He said he was also well aware there had been significant speculation on the subject within the investor community, the media and in the marketplace in general. Luxon has been chief executive at the airline since January 2013, having previously held the role of group general manager international airline for almost two years. Before joining Air New Zealand, he was president and chief executive at Unilever Canada. He had other senior leadership roles during an 18-year career at Unilever and worked in Europe, North America and Asia/Pacific. Spierings will step down later this year after seven years in the role. Luxon told the Herald last month that the past year has been the most challenging since taking on the top job. Dreamliner engine problems, weather disruption and rising fuel prices have made for a tough period at a time when the airline is facing intense competition on its international routes.